What an excellent site! Glad to be a part of it. I lived at Bitburg from 1978-1981 as a dependant and I remember going to many of the Baron games. This was football at its finest: Bundling up in blankets, crazy fans, muddy field....My favorite memory is of this one crazy guy who, when the Barons had the ball, would stand up in front of the bleachers and yell: Gimme an E....Gimme an X......Gimme an L....Gimme an A.....Gimme an X.....What's that spell?.....EX-LAX, OPEN UP THAT HOLE! LOL! Good one! I don't recall ever seeing this guy back when I was a dependent in the 70's but Bitburg did dominate most of the CSC from that point on through the early 80's! I was more than distracted when we had to make the walk from the locker room to the field as a visitor and all you saw was their past accolades plastered all over the walls and trophy cases! That's why beating them in the 90's was bitter sweet! We loved the nostalgia, history, and camaraderie of USAFE football! It's a crying shame the IDIOTS calling the shots shut it down after my last season as a Wolfhound in 93! Totally unjustified and inexcusable even to this day! Shame on those who didn't defend it's solvency! HOO AH! 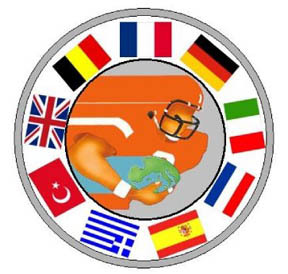 Thanks for the thumbs up on the USAFE Football web site and forum. Welcome to the community! Yes, the Barons were monsters back in the day, from what I heard and learned putting together this site. I never had the privilege of playing against them or watching them play. Most of my personal experience was in the UKSC conference. My father was an assistant coach for the Bitburg Barons during the '71 and '72 seasons. I had a great time traveling to the away games with the team and hanging out on the sidelines as a ball boy. One of the highlights of my time in Germany was meeting Bo Schembechler, Vince Dooley and Jim Otto after a coaching clinic my farther attended. In large part due to the experiences I had at Bitburg I ended up as a high school football coach. support staff (equip. mgrs., medical, cheerleaders, etc. ), and great teammates.